Based on reviews from 1,327 experts and 162,515 users. Learn how our rankings work or see our guide to green running shoes. Updated Apr 2019. The green color is perpetually associated with optimistic concepts. During the earlier times, green was linked to wealth, prosperity, and certain social classes such as merchants, bankers, and gentries. Meanwhile, in some countries, green is used to represent nature, fertility, happiness, and youthfulness. The positive value brought by the color has allowed its utilization as a symbol of hopeful campaigns – environmental protection, social justice movements, and safety awareness. Considering how the green color is related to various encouraging notions, it is conceivable that green running shoes also exude a positive vibe that could catch the eye of the potential wearer. This color has such a close-knit association with health and wellness, that, if used in the design of running shoes, it could inspire the user to wear and appreciate them more than ever. Why choose a green running shoe? If you are interested in color psychology, and you are aware of the representation of specific colors, you would know that preference in color is associated with visual responses. A green running shoe is highly likely to convey an image of security and importance because of its association with wealth and success. In connection with the previous aspect, one user may also choose a green running shoe because of the emotional state elicited from wearing a pair. You might prefer a green running shoe for the trails to make you feel closer to nature. Or you want an eye-catching green shoe to get you to be more noticeable and sociable. Another example would be preferring a green running shoe because of happy memories of eating a favorite green-colored food. On the other hand, you could pick a green running shoe not only for symbolism but also for utility. Some shoes might be colored green not only for design, but to also emphasize a present feature or component. A green running shoe might display neon green overlays or dark green mesh that stands out from the rest of the shoe in order to be easily recognized. Nike Air Max 2017. The Nike Air Max 2017 is a shoe for the roads, that is the flagship model of the brand’s Air Max series. Although expensive and narrow-fitting for some, this neutral shoe has been praised for its fresh, sophisticated look, as well as its efficient shock-absorbent cushioning. 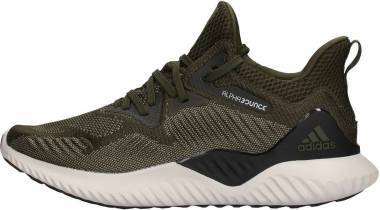 Other users have also thought it to be a versatile With a Black/Palm Green colorway, this green running shoe presents an appearance that is similar to camouflage. Inov-8 Trailroc 270. A trail-running shoe with a low-drop, the Trailroc 270 is considered to be the lightest and fastest option from the brand’s Trailroc series. This green running shoe boasts of an outstanding performance on hard trails, with its protective structure against sharp rocks and debris and its exceptional energy return. The shoe’s Green/Black colorway has a striking appearance that is unmissable while out on the trails. Salomon Kalalau. The Salomon Kalalau is a trail-running shoe that is ideal for the most rugged trail paths, such as the mountains, as it was inspired by the Kalalau Trail on the island of Kauai in Hawaii. Positive reviews for the Kalalau include praises for lightweight structure, versatility, breathability, and aesthetic design. Although some wearers found the shoe to be narrow and tight, it was still regarded as a worthy investment by most runners. The Dark Green/Black colorway of this shoe fits perfectly with the outdoor setting. Asics GT 1000 6. One of the many green running shoes that cater to overpronators is the Asics GT 1000 6. The shoe has been commended by many runners because of its durability and the comfortable and responsive ride it provided. It boasts of high-quality materials that give it resilience to endure many miles without sacrificing cushioning. The GT 1000 6 is available in the Dark Forest/Black/White colorway, which presents a muted tone of deep green, ideal for runners who prefer a subtle hint of color that still stays true to the green color scheme. Salomon Sonic Aero. Another green running shoe from Salomon, the Sonic Aero is a lightweight running gear that is suitable for the roads. The shoe claims to deliver smooth transitions and adequate traction, which has been attested by many impressed users. Some wearers encountered sizing issues, but the rest of Salomon fans applauded the overall construction and feel of the Sonic Aero. It comes in the Gecko Green/Granny Green/Union Blue colorway, which comprises of bright green shades in the upper and midsole. Mizuno Wave Rider 21. The Mizuno Wave Rider 21 is a neutral running shoe that confidently delivers cushioning and support through the high-quality materials with which it was made. Runners expressed appreciation for the breathability and responsiveness provided by the shoe’s components. The men’s version has a Green Slime/Green Gecko/Botanical Green option that shows an abundance of green in a layout that is pleasing for extreme fans of the color. Salomon Speedcross 4 CS. A water-repellent shoe from Salomon, the Speedcross 4 CS has impressed its many users as it effectively kept the foot dry while remaining comfortable and lightweight. While it may have been expensive for some, the Speedcross 4 CS was favored by the majority because of its durable and protective construction. The shoe comes in the Green colorway that has an almost-neon appearance yet not too harsh to the eyes. Scott T2 Kinabalu 3.0. This green running shoe is for the trails, and it is comfortable enough to qualify as a daily-running shoe. According to the majority of its users, the T2 Kinabalu 3.0 has an outstanding grip on tricky and uneven surfaces. Many buyers had also appreciated the classy design and affordable price of the shoe. In the Green colorway, the shoe uniquely displays various shades of green that are accentuated with a bright yellow collar. La Sportiva Lycan. A neutral running shoe for the trails, the La Sportiva Lycan excels on dirt roads and long distances. The shoe has been admired by many for its accommodating structure, comfortable ride, and efficient outsole grip. The Lycan is ideal for wearers who like a spacious toe box. The shoe’s Stone Blue/Jade Green colorway features a grayish-blue upper that is highlighted by soft green details in the lace eyelets, collar, and midsole. 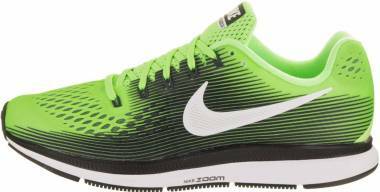 Nike Air Zoom Pegasus 35. Considered as a legend in running shoe series, the Air Zoom Pegasus presents its 35th iteration as a versatile that caters to both running enthusiasts and fashionistas. The shoe’s contemporary, compressed structure has been lauded by wearers for being able to provide a comfortable platform with dynamic shock-absorbing capabilities. The women’s version of the Air Zoom Pegasus 35 offers two green variants for this running shoe: the Kinetic Green/Pink Tint/Midnight Spruce colorway shows a sea-green shade that is complimented by salmon-pink details, while the Gorge Green/White/Black/Pine Green colorway combines deep-greens with neutrals for a simple yet sophisticated look. Adidas Terrex Agravic GTX. Many trail runners liked the Terrex Agravic GTX because of its waterproof characteristic, which proved to be effective even with a lightweight structure. The shoe’s durability was also praised, as well as its performance on tough and uneven surfaces. The Terrex Agravic GTX comes in the Core Green/Easy Green/Footwear White colorway, which is very pleasant to the eyesight and unmistakably appealing to the women runners. Clean your green running shoes gently. Use a mild soap, warm water (not too hot or too cold), and a soft brush to remove mud or dirt around the shoe and in between its treads. Exercising too much force might destroy the material and weaken the color of your running shoe; thus, it is better to scrub the area lightly and continuously. Dry the running shoe properly. Dryers and other sources of direct, extreme heat are not recommended for shoes because it could damage its components. If you are looking to accelerate the drying process, use a fan or stuff your green running shoes with newspapers or towels that can absorb excess water and moisture. Less is more. When cleaning green running shoes, a minimalist approach is ideal. Some chemicals and solutions, while marketed for shoe care, might be too strong and damaging, especially towards delicate materials. It would be much better to use natural or milder items, such as a gentle soap for cleaning, or baking soda for eliminating odor. Use for intended purposes. Your green running shoes are just that – for running. 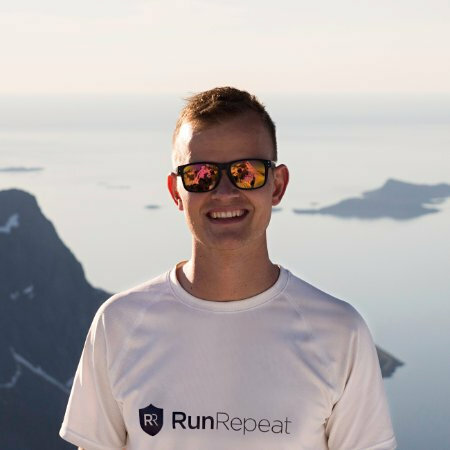 Although there are brands that would claim their product is versatile and could be used in various circumstances, it is still best to wear your pair exclusively for running activities. That way, you would prolong the quality and lifespan of your shoes and prevent them from breaking or deteriorating quickly due to poor or improper usage. Are green running shoes better than other colors? Green running shoes are definitely better – if it is your favorite color. In an objective sense, a green running shoe would have no difference from other colors, aside from its appearance. All manufacturers strive to produce running shoes of the highest quality. What makes one pair the best is when it matches all your personal criteria: be it affordable price, minimal weight, or useful features. Thus, if you want to know whether green running shoes are better, they are – if they qualify in your standards. Do green running shoes have unique features? Your green running shoes may or may not have unique features or technologies, but the possibility is not dependent on the color. A pair of running shoes may be lightweight, fast, waterproof, responsive, or plush, but these qualities are not affected by color. Most shoe manufacturers incorporate a variety of colorways in their models so you can be sure to find a green running shoe that also possesses the features you want. When should I use green running shoes? It is a given that green running shoes are for running. Some shoes are marketed as versatile and could be used as lifestyle wear, and there are also some that could be taken to both road and trail excursions. There are also green running shoes that are specific for racing, triathlon, and swimrun activities. Make sure to use your pair for its intended purpose, so that you can achieve optimum performance and guarantee the longevity of your green running shoes. Each color is distinctive in its own way, and green is no exception to the rule. This specific color is set apart from others because the concepts it represents are unique. If you like green, you must probably know what it symbolizes or what traits are connected to it. This could be one of the many details you are choosing to wear green running shoes. Other motives might be an emotional connection to green, or maybe something as simple as a practical act. No matter the purpose, a pair of green running shoes will bring as much satisfaction as other colors. With the vast number of options available on the market, consumers will not find a shortage of green running shoes. There would definitely be a pair that would cater to all tastes – whether you like light, muted hues or eye-catching highlights, your preferred shade of green would not be hard to find in a running shoe. Just like any other running gear, it is essential that you care for your green running shoes. Although it might be a simple, menial task for some, it is worth it to put in the time and effort in maintaining the quality of your green shoes. This will ensure that your pair will last you a long time and provide you an excellent performance each time.